Jalandhar is believed to have emerged out of the sea. This legendary origin of Jalandhar is confirmed by some geologists who believe that once upon a time the sea stretched up to Jalandhar Doab and the neighbouring Shiwaliks of Hoshiarpur. According to the Padma Purana, the City takes its name from the great "Daitya" King , Jalandhra, the son of the Ocean. The earliest historical mention of Jalandhar occurs in the reign of Kanishka, when about A.D. 100 a council of Buddhist Theologions met near Jalandhar chiefly for the purpose of collecting manuscripts and preparing commentaries on them. Jalandhar gave rise to the Nath Movement between the eighth and tenth century A.D. At the site where the samadh of one of the foremost representatives of the movements Jogi Jalandhar Nath once stood, was built the exiting shrine of Imam Nasir-ud-din Chishti in the fifteenth century. Jalandhar was when visited by Hiuen Tsang the capital of a considerable State ruled over by Katoch chiefs, the town itself being more than three kilometers in circuit, It was taken by Ibrahim Sah of Ghor, in A.D., 1179-80 and was a place of considerable importance in the struggle between Jasrath Khokar and the Muhammedan governors in 1422-42. Under the Mughal Emperors, Jalandhar was always the capital of the northern and most important portion of the Jalandhar Doab which then extended to the neighbourhood of Multan, in fact of the whole of the Doab, as it is now constituted. The last Mohammedan governor was Adina Beg, whose intrigues with the Sikhs and Marathas have already been noticed. Governer Adina Beg died in 1758, having in the previous year allowed Guru Badbhag Singh of Kartarpur, to burn Jalandhar in revenge for the destruction of Katarpur by Ahmad Shah Abdali in 1756. Jalandhar is a district in the Indian state of Punjab.It is known for its sportsmen as well as its sports industry, its steel and iron re rolling mills, rubber goods, electric goods, automobile parts and sewing machine factories and handloom products. Jalandhar means area inside the water. Tourism in Jalandhar District mainly boasts of its historic monuments. Prominent among them are the mausoleum of Imam Nasir, the fort at Phillaur which once served as Maharaja Ranjit Singh`s line of defence against the British, a Shiv Mandir which dates back to the Lodhi era, Devi Talab Mandir, Tombs at Nakodar, Sarai at Nurmahal, Gurudwara at Kartarpur, etc. Jalandhar Tourism - Get all information on Jalandhar tourist places and sightseeing tours. Our website helps you plan your next tour and gives you great ideas on what to do, where to eat, where to stay and when to go there. We give the best information from the web to give you precise, meaningful and useful travel guide for leading places to visit in India and from across the world. Our travel information on JALANDHAR tourist places, tourist attractions, major sightseeing, the best time to visit, the top places to visit in Jalandhar, the must-see things to see and do, maps, restaurants, hotels, nearby tourist destinations, local public information and more. 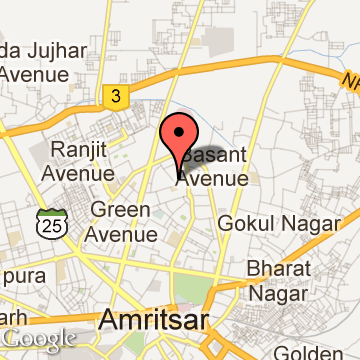 To start with check out information on how to reach Jalandhar.